Many organizations are bracing for the recent wave of Privacy regulations announced this year. In May, GDPR became enforceable, then in June California passed the California Consumer Privacy Act (effective starting 2020). These landmark regulations provide new privacy requirements for businesses collecting and/or processing data. 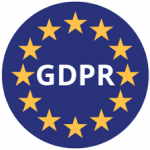 The purpose of this whitepaper is to compare requirements under GDPR and the CCPA and provide guidance on using these regulations to develop an organizational approach to privacy. You can request a copy of the whitepaper, which includes a mapping between GDPR and CCPA, by clicking the link below. This entry was posted in Privacy Compliance, Whitepapers and tagged CCPA, GDPR, Privacy. Bookmark the permalink.